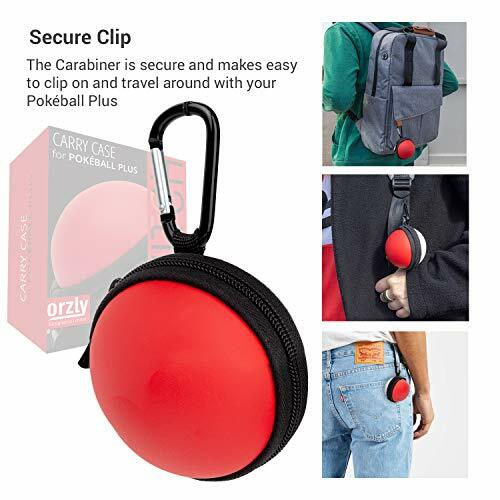 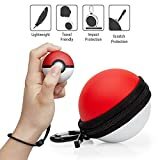 THIS PRODUCT CONTAINS: 1x Orzly Travel Pouch with Built In Carabiner Clip, so that you can easily attach it to the belt clip of your Jeans, or to your keychain for convenient hands free travel, whist still having it easily on hand for when you need it to catch those pokemon on the go. 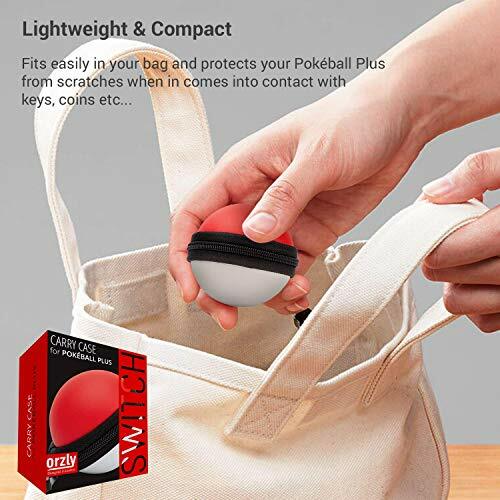 TOUGH AND DURABLE: The soft inner cushioning on the inside keeps your controller snugly in place, so that the thumbstick button of your controller doesn't get knocked about and damaged in transit (safer than to bundle it loose in your bag). 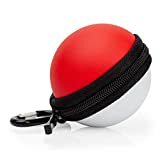 The splash resistant hard rubbery EVA exterior makes it safer to travel, even if it rains, when clipped to your keychains. ZIP MECHANISM: Sturdy Zip Mechanism keeps your controller stored securely so that it doesn't fall out when travelling. 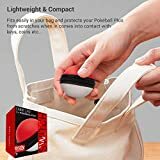 Protects it more snugly than to bundle it up loose in your bag. 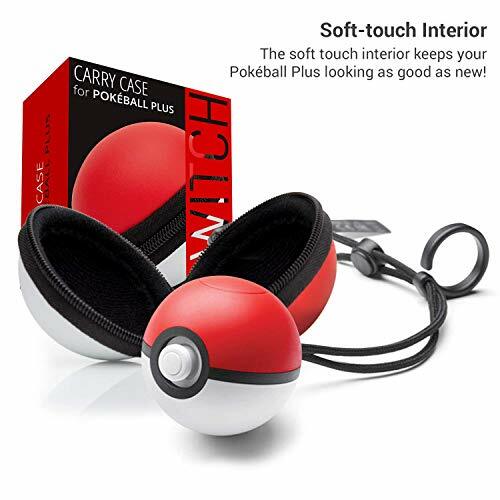 PLEASE NOTE: *THE POKEBALL CONTROLLER, POKEMON GAMES, AND NINTENDO SWITCH CONSOLE ARE SHOWN IN IMAGES FOR USAGE DEMONSTRATION PURPOSES ONLY AND ARE NOT INCLUDED WITH THIS TRAVEL CASE. THIS PRODUCT CONTAINS: 1x Orzly Travel Pouch with Built In Carabiner Clip, so that you can easily attach it to the belt clip of your Jeans, for convenient hands free travel, whist still having it easily on hand for when you need it to catch those pokemon on the go. 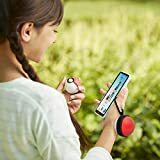 TOUGH AND DURABLE: The Hard outer shell of this case is made from a special EVA material which is tough, rubbery, and splash resistant on the outside, making it safer to travel in the rain. The soft inner cushioning on the inside keeps your controller snugly in place, so that the thumbsticks and buttons of your controller don't get knocked about and damaged in transit. ZIP MECHANISM: Sturdy Zip Mechanism keeps your controller stored securely so that it doesn't fall out when travelling. MORE ACCESSORIES AVAILABLE: A matching designed case for the Nintendo Switch console is also available. 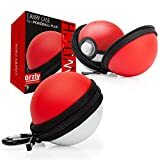 To view it, search 'ORZLY POKE' or to view our full range of Nintendo Switch accessories, search 'ORZLY SWITCH' in the Amazon search bar (above).